What happens when analogue street art merges with the possibilities of the digital world? During IFA 2018, Samsung created exciting street art experiences under the motto “Do What You Can’t” in collaboration with artists ELLE, Pichiavo, Marion Mankey, Tape That, Uwe Henneken and Innerfields. IFA visitors and art fans alike could witness augmented reality (AR) technology transforming the artists’ work into interactive “street ARt” at five pop-up galleries (called “ARt Labs”) and public spaces around Berlin. Samsung invited over 80 journalists, influencers and partners to the celebratory opening of the exhibition at the pop-up gallery of famous New York street artist ELLE, one of the top street artists in the world. Facilitated by AR, ELLE’s works extended beyond the walls they lay, with visitors able to walk right through the art. Samsung installed Galaxy S9+ smartphones with the specially-designed “re:imagine street ARt app” in the gallery for users to experience the fascinating combination of urban art and augmented reality. Additionally, Samsung lifestyle TV The Frame provided detailed displays of ELLE’s collages. 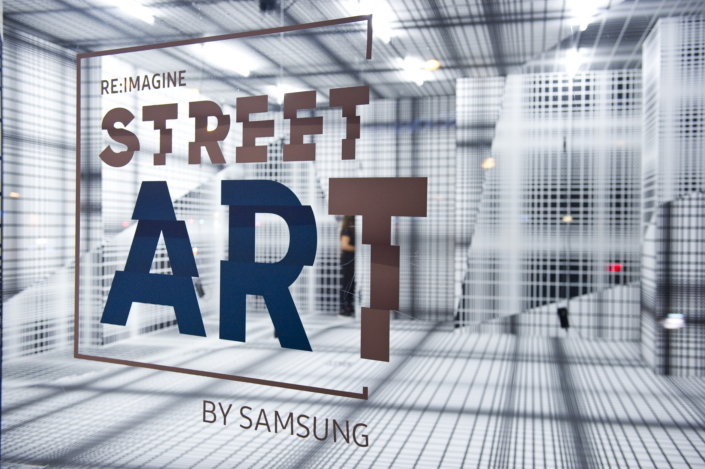 “We created ‘re:imagine street ARt’ so that everybody can experience Samsung technology in new and exciting ways. Here in Berlin, we’re showing that technology is not only about consumption and lifestyle, but also about culture and creativity. Using our mobile devices, we make a colorful world accessible which wouldn’t be possible without this technology” said Martin Börner, Deputy President at Samsung Electronics GmbH. Tim Renner, an author and renowned music producer as well as former Secretary for Cultural Affairs of the city of Berlin, was the host of the evening. Together with 3D motion designer Robert Werner, he discussed with the audience how the digital world can transform classic art forms. Artists Pichiavo, Mario Mankey, Tape That and exhibition partner The Dixons were also in attendance. 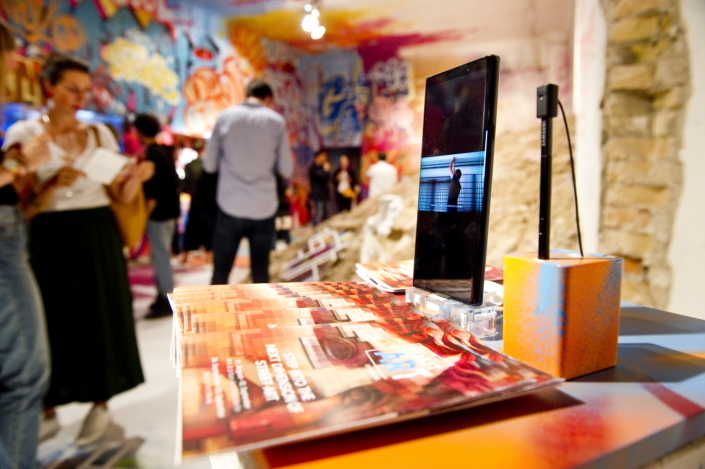 Guests were impressed with the digital edge Samsung brought to the street artists’ work. “The Art Labs offer a new approach to art and allow the visitor to perceive both the space and the surroundings. It is a forward-looking concept for immersing oneself in the art world with the help of VR. The possibility to move around in the art environment and to engage with it in a playful way inspired me,” said Instagrammer Michael Koller (herr_pola_roid). Passers-by could also discover further Street Art and AR combinations outside of gallery. 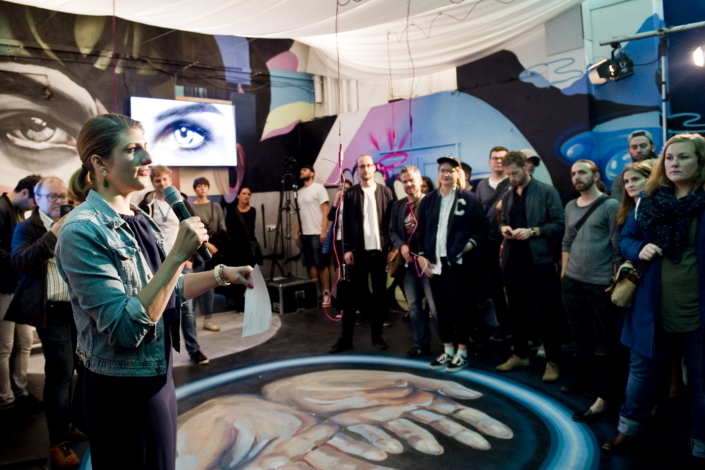 ELLE and Innerfields had designed large Samsung murals in the city center of Berlin, which would animate as soon as visitors pointed their smartphone camera and the “re:imagine street ARt” app at them. Moreover, famous Berlin sights such as the Brandenburg Gate, the Reichstag building, the Victory Column and the Berlin Cathedral could be experienced in full interactive “Street ARt” splendor with the help of the app. “It’s exciting to see the new perspectives opened up by the interplay of technology and art,” said Melina Grundmann from media company Deutsche Welle.